We have an awesome deal on the Aerix Black Talon 2.0 Micro FPV Beginner Racing Drone in the Geeky Gadgets Deals store today, you can save 13% off the normal price. The Aerix Black Talon 2.0 Micro FPV Beginner Racing Drone is available for $99.99 in our deals store, it normally costs $115. Drone racing’s popularity is growing fast, but racing drones are almost all inherently tough for beginners to control. The Aerix Black Talon, however, is the first drone designed for beginner racers, giving you the extreme performance of a high-speed drone with the enhanced flight control of more novice drones. Capable of streaming live video in 720P via an independent WiFi transmission to the free app, you can steer more accurately while recording flights in first-person so you can improve on your mistakes. 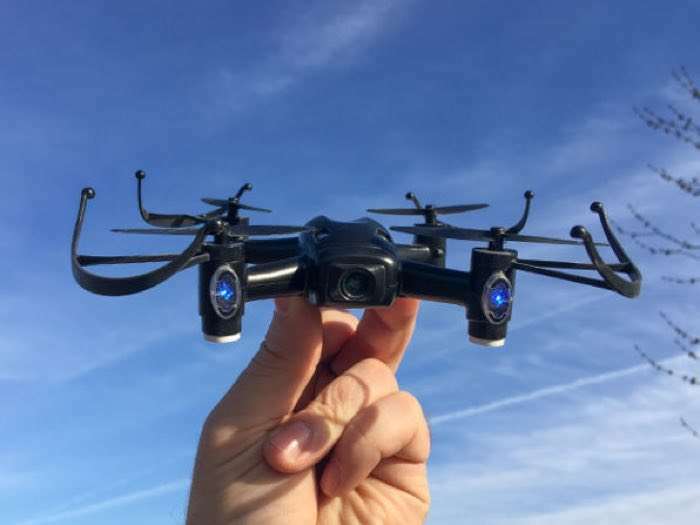 You can find out more details about the Aerix Black Talon 2.0 Micro FPV Beginner Racing Drone over at our deals store at the link below.